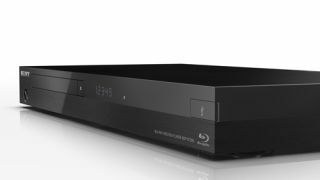 New high-resolution CD/Blu-ray player launched by Sony | What Hi-Fi? Sony has revealed details of its new BDP-S7200 SA-CD/Blu-ray player – one of the Japanese tech giant's newly-launched products to come with high-resolution audio playback capabilities. Due to start appearing on European shelves next month, Sony says the BDP-S7200 is designed to combine "peerless pictures with stunning sound" from both disc content and online services. It's also described as Sony's first player that can handle Super Audio CD and high-resolution audio files, while the Digital Music Enhancer will improve the quality of MP3 files and low-res videos. The BDP-S7200 offers 4K upscaling to improve picture quality on a 4K TV, with online video quality able to be enhanced using IP Content Noise Reduction Pro powered by a dual core processor. Elsewhere, improved wi-fi connectivity will let you stream videos and music "more reliably". There is also access to Sony Entertainment Network and other online services including YouTube. In addition to the BDP-S7200, Sony has also expanded its range of high-resolution audio products with the launch of the MAP-S1 Multi Audio Player and two new AV receivers.